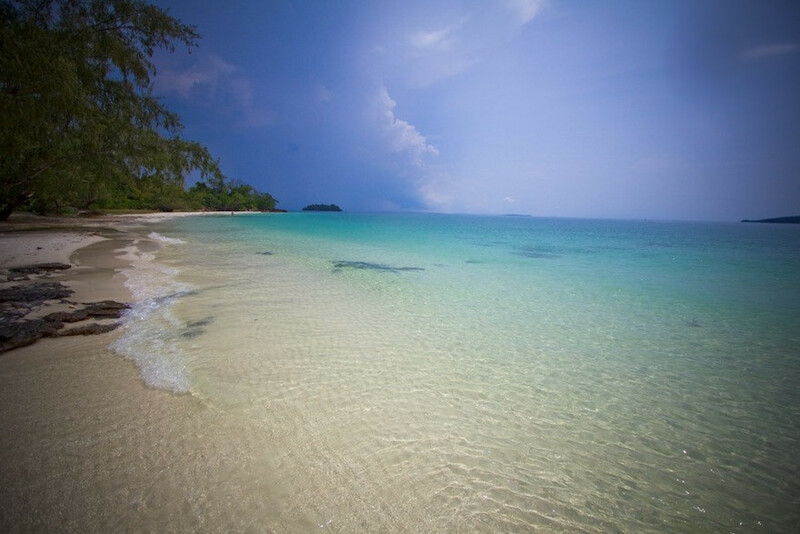 For many years, the main beachside destination in Cambodia has been Sihanoukville, also known as “Snooky”. Unfortunately, many visitors are disappointed by the quality of the beaches and expensive prices. Luckily, less than an hour away lies a beachside destination that’s sure to impress: Koh Rong. Koh Rong is one of several islands located off the coast of Cambodia. Perhaps due to the popularity of the Thai islands, most of the Cambodian ones are fairly undiscovered and therefore much more untouched. Koh Rong Island is no exception. While there is a growing number of bars, restaurants and bungalows, for the most part the environment is pristine and jaw-droppingly beautiful. 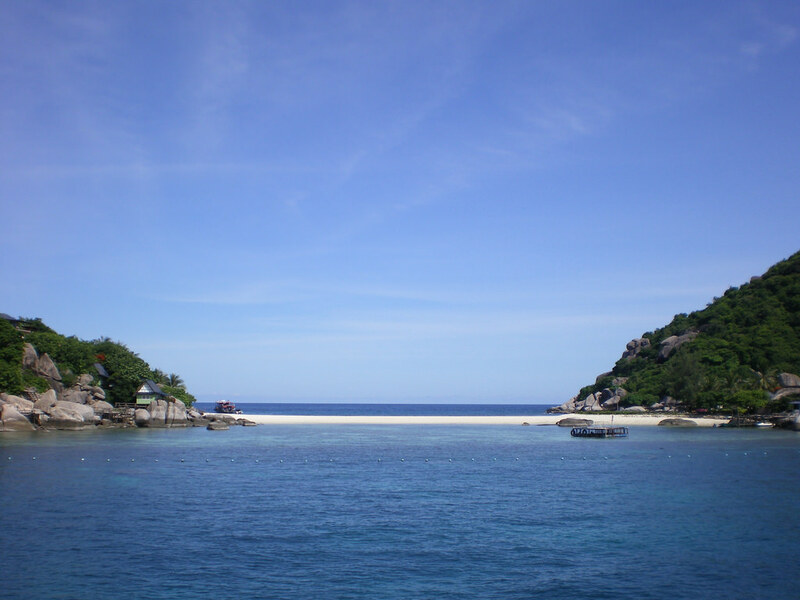 It has many stunning beaches, including Coconut Beach and Sok San Beach. If you love the water, it is almost guaranteed that you will love Koh Rong. The long beaches with white sand and blue seas make the perfect place to rest on a hammock, book in hand. If it ever gets too hot, it’s simply a matter of taking a dip in the sea to cool off. If you are looking for a secluded beach, it’s best to head away from the main tourist spot of Koh Touch. A little further afar, you will find Long Beach – a beautiful stretch of white, sandy beach that just invites you to sunbake and splash around in the blue waters! Further afield, Lonely Beach is a bit of a trek to access, and has few facilities or attractions, except for one of the most beautiful beaches in Asia. Here, there are simply modest bungalows and a couple of humble eateries. However, with a beach this beautiful, you will not want to be distracted from it! At night, the swimming goes from relaxing to astonishing – visitors can swim amongst glowing plankton, which illuminate the shoreline in a bright blue light. It is a truly incredible phenomenon to see, and swimming around it is bound to be a memory you will treasure forever. Be sure to bring your camera so you can snap some pics – otherwise your friends might never believe you! During the day, there are also many activities on offer for those who love their watersports. One of the most popular activities on the island is kayaking. Kayaks can be rented from numerous spots on the island, and then commandeered on your own exciting adventure! One of the best trips is out to “Small Island”, which is not too far yet is almost deserted. You are sure to feel like you’ve found your own slice of paradise. Another popular past time on Koh Rong is snorkelling. There are many businesses and guides offering guided trips that range in length from an hour to a full day. Many of these trips even include a tasty lunch and a cool drink. The snorkelling around Koh Rong is impressive, although you do need to know all of the best spots (that’s why it’s a good idea to bring a guide). Off the coast of Koh Rong, you can expect to see an amazing array of marine life including lots of species of fish, seahorses, stingrays, and jellyfish. For those who can dive, you can expect to see even more of the sealife around Koh Rong. The island is one of the most affordable places to dive anywhere in the world – all day trips start at just $80 per person. Although the diving on Koh Rong is not quite as good as some of the Thai islands, it is far less crowded, and there is still the chance to see some impressive wildlife, such as sharks! If you are not a qualified diver but are interesting in learning, there is a PADI qualified dive school on the island. Again, it is one of the most affordable ways to learn to dive – plus the friendly atmosphere of Koh Rong makes it a great place to learn. Just be sure to look up the course ahead of time and bring cash, as there are only 3 places to withdraw money on the island, and they charge a stiff 10% fee. All in all, it is hard to understand why Koh Rong is so firmly in the shadows of the Thai islands and Cambodia’s Sihanoukville. Not only does it have its own stunning beaches, but you are able to get away from the crowds and truly relax. Of course, if you do want something to do, there are plenty of water-based activities to keep you busy. Then, after a full day of exploring this island paradise, you can retreat back to your beachside bungalow. Or, if you really want the rustic experience, you can set your tent up right on Long Beach. Bliss!